UNISON’s new president Gordon McKay is a mental health nurse from the union’s Ayrshire and Arran health branch. 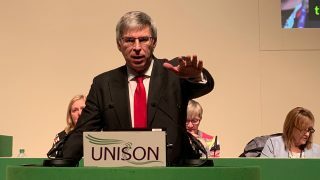 He’s been a member of the union for 31 years, having joined the NHS in 1987 and UNISON forebear NUPE on the very same day. “In working class communities in Scotland, that’s what you did – you joined your union straight away,” he says. It was always a conscious solidarity. He didn’t become an activist immediately, he says. He and his wife were just starting a young family at the time. But Gordon does remember, very clearly, the incident in the early 1990s that led to him becoming more active. A young colleague was being dressed down by “a relatively junior” manager. “He gave her an absolute hell of a bollocking in the middle of a corridor. And that was because she had nipped off for five minutes to use the phone. The woman’s two-year-old daughter was at home with chickenpox, being looked after by her grandmother. “She phoned to see how the wee one was. And we got this tirade. You know: ‘You should consider yourself lucky to have a job and if I see you using a phone again without getting my permission you won’t have one’. That refusal to stand by when he witnesses injustice, or people in need of solidarity, is still there three decades later. 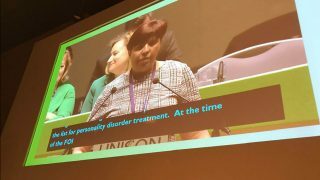 Gordon was elected UNISON president by the union’s national executive committee (NEC) at the end of June’s national delegate conference. It’s traditional for presidents to nominate a charity and use the increased profile of their presidential year to raise awareness and funds for their chosen cause. Though Gordon hasn’t yet settled on the specific charity, he knows the cause he will be supporting. “It will be mother and newborn baby support in sub-Saharan Africa, probably Malawi,” he said. “I was sitting with my daughter about six months ago watching a programme on TV [on the issue]. I remember saying to her: ‘I wonder where these people will be in a year’s time’. “And she said: ‘Well, we know where most of them will be. Most of them will be dead’. As “president of the biggest union in the UK” he is in the perfect position to help make things more than slightly better, both for people on the breadline in sub-Saharan Africa and for those working like himself in vital public services in the UK. 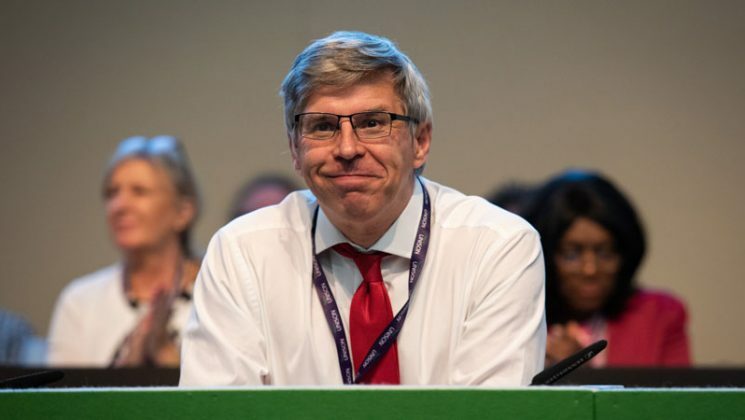 So does Gordon have any specific targets or goals for his year as UNISON president? 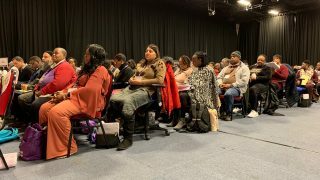 “I’ve always thought, whether as an activist or a member, that setting yourself goals for what you want to do in your trade union does not work,” he says. “Because the reality is you don’t achieve anything in the trade union movement by yourself. What you do, is you achieve it with other people. “What I would hope I can participate in achieving with others is probably twofold. “The first would be to continue to make the case with the public for public services – to get the message across that it’s public services that hold our society together, and how they do that. 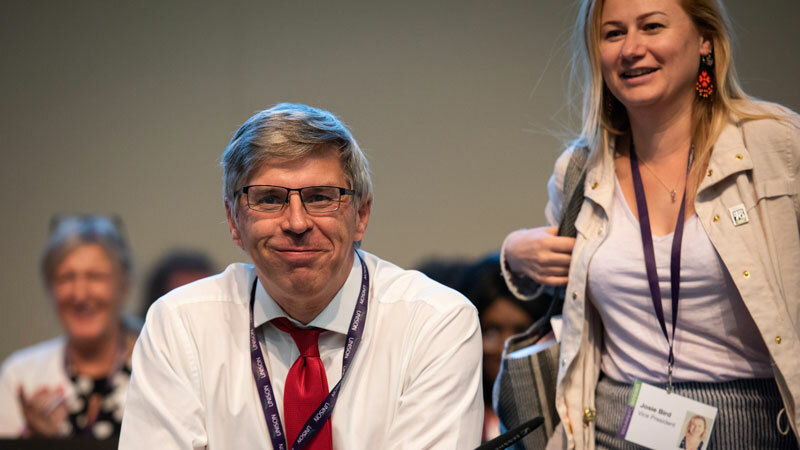 Gordon is joined on the presidential team by senior vice president Josie Bird (pictured above with Gordon at national conference) and junior vice president Sian Stockham. Josie is a local government worker from Newcastle, where she has worked as an administrative officer for the past 17 years. The secretary of the union’s Newcastle City branch, she also chairs the NEC’s finance and resource management committee. Sian is a support care worker from Abergavenny. She has been a member of the NEC since 2005, where she holds the seat representing fellow low-paid women members in Wales. 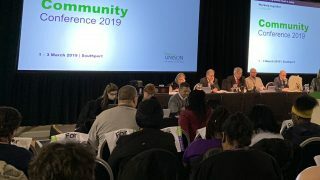 UNISON has a presidential team made up of elected members of the national executive council (NEC). Credit unions in the Northern region include Bridges – Your Community Bank, CUSEN, Moneywise, North East First and Prince Bishops Community Bank.